ALOHA and Welcome to D.MedicineWoman's Essential Therapeutic Products! Please let me introduce ourselves. We are Darlene, the "D." in D.MedicineWoman, and Earl, the D.MedicineHusband. Darlene has been an aromatherapist for over 30 years now, and her focus is on the individual client with special health needs. Many of the products you see here in our booth were originally created inorder to help just one individual, and worked so well, that she began to make the same product for others too. She still works with people one on one, especially those who come by at the markets, and still designs new products as a need arises. She also responds to clients needs by email. When she's not busy with clients, she's making more sprays and custom blended oils, and is probably the worlds fastest bottle labeler. Earl is in charge of online sales, including this Bonanza booth. He is the one who answers your b-mails, posts items, packs orders, etc. On market days, he drives the van, sets up the booth, and helps with sales. Best of all he's a master of distillary, and makes some pretty nice lotions, too. D.MedicineWoman headquarters is located in a small town called Ocean View, on the Big Island of Hawaii. You can also find D.MedicineWoman at the local farmers markets, like Kau Farmers market in Na'Alehu, or the Keauhou Farmers Market in Keauhou, and at some of the special events here in Hawaii. Here at D.MedicineWoman, we strive to provide the best possible therapeutic aromatherapy products at the best possible prices. We handcraft each of our items using local and sustainable ingredients where and when ever it's possible. We grow and distill as much essential oils and hydrosols as we possibly can, and purchase from local farms here on the island, too! We use all natural pharmaceutical grade beeswax, obtained from a local beekeeper, in all of our lotion products. It costs more, but it's worth it! Each of our products features the best, highest quality oils available, is custom designed, uses the most natural components available, and is handmade with aloha at our farm here in Hawaii. 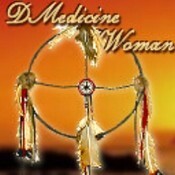 Best of all, D.MedicineWoman products Really Work! Stay Well and Thanks for Visiting! DMedicineWoman doesn't have any items in their booth! DMedicineWoman has the best products anywhere for several of my health conditions. Nothing else works anywhere near as well. The service is amazing, the prices are affordable (given the value for money), the products can’t be beat. I send all my friends to DMedicineWoman, and have for years. Thanks again!!! Purchased first aid cream many years ago at a booth for an insect bite on the Big Island while vacationing.I have been using every since. I cannot say enough about this product. Saved many tears from a bee sting that my grandaughter got one day…she later said I was the best!! Really was the cream! Works great on burns…wow. I think it may be the only first aid cream I need ever again! I’ve purchased wonderful fresh & potent amazing aromatherapy products from D.Medicine Woman and been so very pleased with their products and service. I highly recommend this booth for all your aromatherapy needs. Their products work and the best part is there is a whole lot of Aloha in every jar/spray. We are next to DMedicineWoman at he the South Kona Green Market on Sundays in Captain Cook Big Island. We use the products ourselves- the First Aid Spray, Breath Better, Sole Soother and the Pain Less Potion are just a few of our favorites. We also get to see client after client leave with a smile and a piece of Aloha DMedicineWoman style! I received a sample of the Pain-less potion, with some other surprises as well! Thank you for your generosity, and understanding how tough it can be to live with fibromyalgia. Great products from a wonderful person! Thank you, thank you, thank you. In the Seller to Seller Critique forum thread, DMedicineWoman has taken the time to look at another Bonanzle memberâ€™s booth and then offer advice and a critique on how to improve it. This type of unselfish gesture on behalf of another member is laudable and much appreciated! Thanks again for sharing your time and talents! I’m so totally impressed with your products; they are wonderful. I’ll be back for more. Purchased a trial package of items from DMedicineWoman. Got them about a week and a half ago. …. I do need to say that my hubby hasn’t snored in a week! …And my feet have not hurt after work either!! I will be back! I would say buy with confidence! My husband even uses the Powerful Pain Ointment for his arthritic knees! We’ve known DMedicineWoman for about 2 years now. 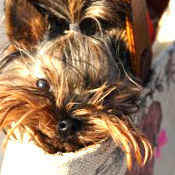 We both have booths at the South Kona Green Market. We also live in the same small town here on the Big Island. 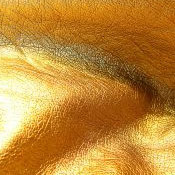 DMedicineWoman has awesome products, which elicit MANY happy return customers. I personally have purchased several of her essential oils to use in my own products. Enjoy her booth, and be very confident buying any of her many wonderful products! A+++ for DMedicineWoman.